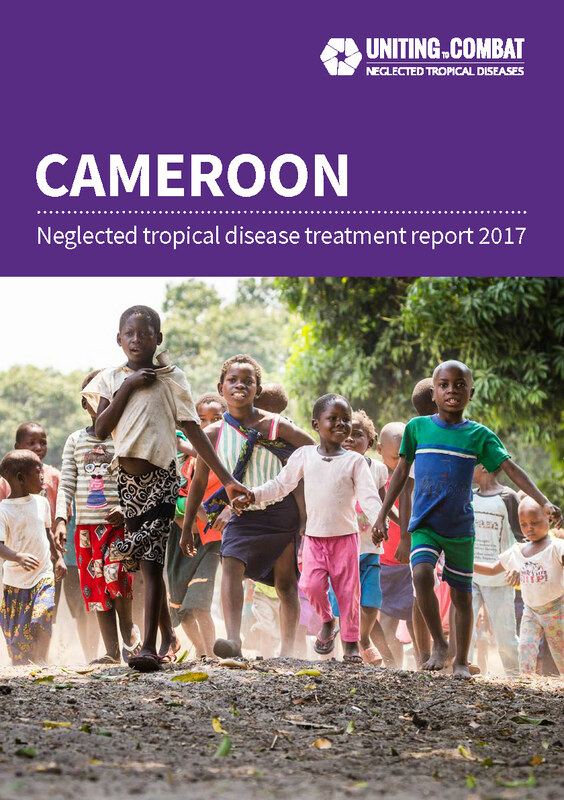 This country profile provides an overview of Cameroon’s progress in reaching those in need of mass NTD treatment based on 2017 data. Treatment coverage decreased from 71% in 2016 to 60% in 2017. Treatment coverage increased from 26% in 2016 to 100% in 2017. Treatment coverage increased from 61% in 2016 to 85% in 2017. Treatment coverage decreased from 77% in 2016 to 100% in 2017. Treatment coverage increased from 75% in 2016 to 76% in 2017. The ESPEN portal (a World Health Organization AFRO region project) provides maps and district-level data for the preventive chemotherapy diseases in Cameroon.